This is what effective climate action looks like… | It's Up 2 Us! It’s been a full couple of days and I’m sat here at home inspired, a little tired but ultimately overwhelmed by the level of excitement, engagement and effectiveness of our climate movement. So yes, any of us that know what needs to be done are still left wanting more and freaked out by the size of the journey we have to make, but I want to take a moment to reflect on just the last couple of days and the impact we’re making and the progress we can see. 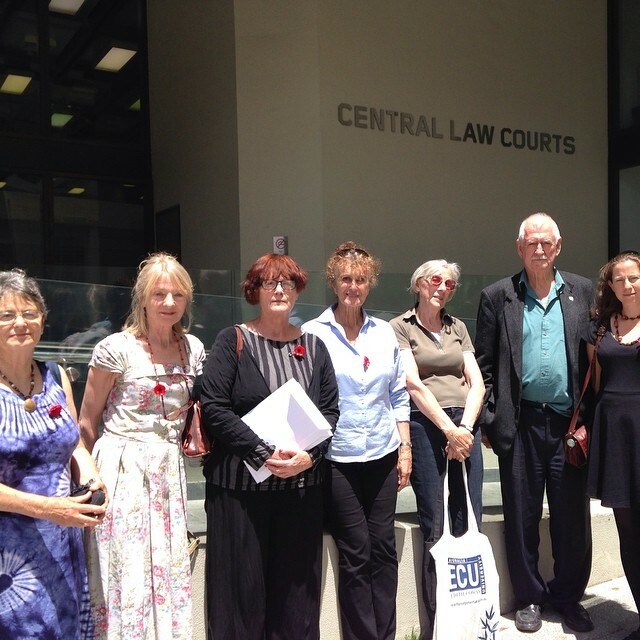 Yesterday a small but determined group of us spent the morning in court. 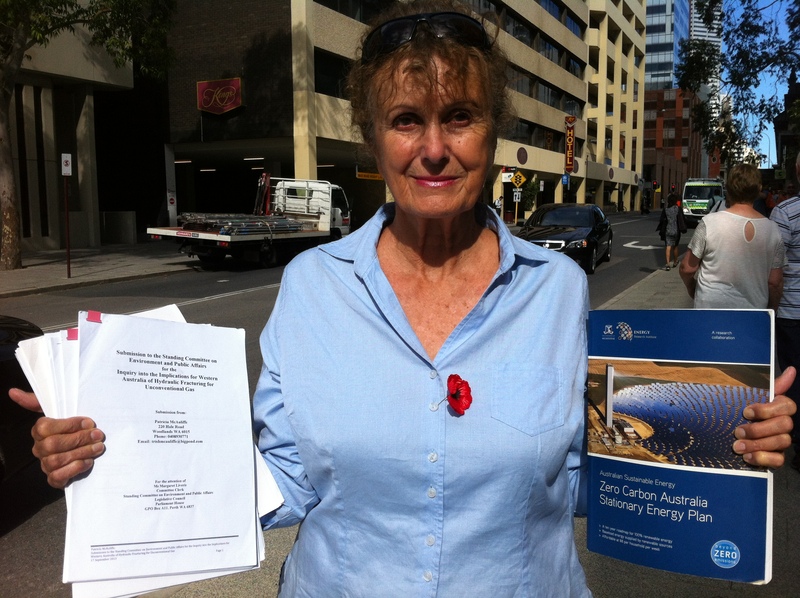 We were there to support the courageous actions of Cathy and Trish who were arrested and charged with trespass after calling on Buru Energy to cease their destructive fracking projects in the Kimberley. In solidarity with communities in the Kimberley and The Pacific Climate Warriors they took their actions (alongside a large supportive team) as part of the rolling national actions taking the fight of the warriors direct to the fossil fuel companies and their financiers. The support they have received from their community far and wide has demonstrated that people see the need for civil disobedience and are willing to support it. 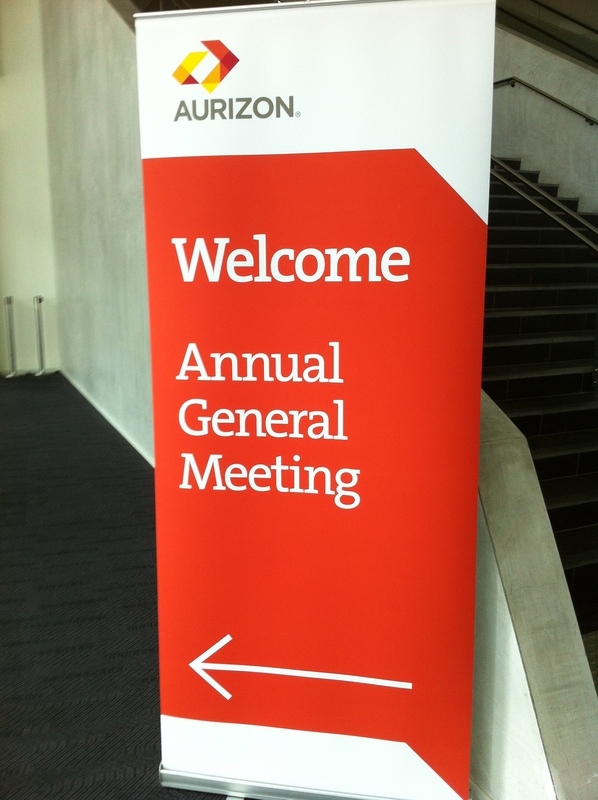 Today has seen shareholder action in various parts of the country with people attending the AGM of Commonwealth bank and folks in Perth attending the Aurizon AGM. No longer can it be said that these companies are not being held to account. They may not yet be listening to or addressing climate risk sufficiently but they are having to speak about the subjects we want them to address, they are writing reports trying to distract our concerns and challenges and are failing miserably. I’ve met with campaigners over the last couple of days to solidify how we’re going to thoroughly defeat the fracking industry and ensure we get on track for a renewable future in WA. Each week more and more people come on board, start working together, realise the craziness of the industry’s plans and commit to re-writing our States future. “Faith leaders from across the religious spectrum have issued a joint call for G20 leaders to act on climate change, end fossil fuel subsidies and rapidly transition to a low carbon economy. Clergy and leaders from Jewish, Christian, Hindu, Muslim, Buddhist and Indigenous communities held a press conference in a Brisbane church close to where G20 leaders are meeting. AYCC then rocked up at Peabody’s sponsored event at the G20 Global Cafe and ran a bit of a counter-PR campaign! Eight courageous young people stood up and interrupted the sponsored speech of Peabody’s COO. They finished with the line ‘Peabody Energy we don’t want your coal, you don’t belong at the G20’ before being escorted out by security. It was also incredibly inspiring to have 6 people from the Seed Indigenous Youth Climate Network, who had travelled as far as from Darwin and Mildura, to make sure climate justice was front and centre. Check out AYCC’s video ‘Sh*t the Coal Lobby Says’ here. And the announcement fresh out of China and the US. Event the Pope’s weighing in telling Tony Abbott and the G20 to do the right thing on Climate, rampant consumerism and refugees. So hell yeah we have a long way to go, but from my living room in Perth is doesn’t seem impossible and right now I’m truly inspired by my colleagues and collaborators, near and far who are making a difference and having an impact.